One of the joys of being a Fulham supporter is watching young players develop through the academy and enjoying watching their progress through the U18 and U23 teams. Whilst the main club attracts sponsorship in different ways, the academy lags behind but is the lifeblood of the club, both now and in the future. It achieves much, despite having a lower budget than many of our larger London rivals. For instance, the Chelsea U23 team alone has a higher budget than the whole of our academy and so it is not a level playing field in which to operate. Thankfully, we have many other selling points to commend our academy and these are relentlessly pursued by the staff. I have seen the new plans submitted for development of the old BBC sports ground, which leaves the current site for all academy activities. The new plans if planning permission is obtained are awesome and will only enhance the reputation of the club as a whole. The path to a successful football career is exceedingly difficult for all youngsters and I have been impressed at how many of them approach the job with a single minded determination, in their application, a willingness to learn and development of their skill sets as footballers and people. I felt it was long overdue that a form of performance recognition was acknowledged with an award and Fulham Supporters Trust agree. If the award is a success, I have suggested there may be further sponsorship development potential in the future – a dinner, awards night, etc. However, let’s walk before we can run! The presentation to Fulham FC by Fulham Supporters’ Trust of the ‘Academy Player of the Year Award’ trophy will be on the pitch at Craven Cottage on Tuesday 29th January 2019, during half time of our clash with Brighton and Hove Albion. The trophy will be officially presented by the FST to Huw Jennings (Academy Director) by Tom Greatrex (FST Chair), Dan Crawford (FST Board) and Peter Grinham (FST Member). The winner will be announced towards the end of the season. How did this trophy award materialize? The Fulham Supporters’ Trust (FST) has a regular structured dialogue with Fulham FC. 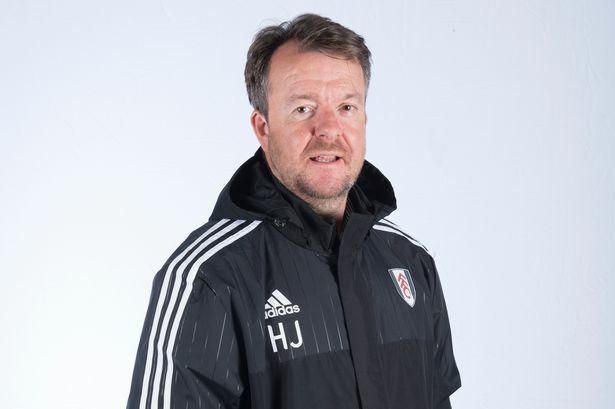 Of the many aspects of Fulham’s operations, the FST have a keen interest in the academy and its work and felt that it was time that they should acknowledge the hard work and development of the young players. The sponsorship of a trophy idea was born. The provision of this trophy also acknowledges the tremendous work of the Fulham Academy staff in helping these players to achieve their goals in securing professional careers in football. Peter Grinham, FST member and occasional Fulham Focus contributor, has been working with the academy to provide this trophy and establish selection criteria, as well as dealing with the trophy retailers and manufacturers. The Fulham Supporters’ Trust ‘Academy Player Of the Year’. Johnny was the greatest player this club has ever produced. He embodied all the qualities required to win this award and was a role model for young players and supporters alike. He started as an apprentice, when the academy players (then known as Fulham Juniors) had a traditional tough apprenticeship introduction to football – cleaning senior players’ boots, sweeping terraces and other basic duties. It shaped young players and gave them gravitas. As many will know, Johnny went on to captain both Fulham and England. His peers at home and worldwide recognized a great football talent and gentlemen. Any young player winning this award should be proud of their achievement but even more proud to have their name linked with an icon of world football. Any player at the academy between the ages of 16 and 21 at the beginning of the season and who have played or are playing at U18 or U23 level. Acted as an ambassador for the club and have clearly demonstrated Fulham FC values. Finally, when that is taken into account the selected player is considered by academy staff to be capable of possessing the potential to move up to the next level of football. The voting will be by all PDP players and all staff working with PDP players. The 3 players receiving most votes will be on a short list which will be presented to the Academy Management Team to select a winner. The winner will be announced towards the end of the season.